Stan Lee’s cause of death has been revealed as heart failure and respiratory problems, according to TMZ – who managed to obtain the Marvel creator’s death certificate. It also says that he reportedly suffered aspiration pneumonia on the certificate, and that his body has since been cremated and that the ashes have been returned to his daughter. Two years ago, a fan-made poster for a Stan Lee biopic featuring Bryan Cranston as the title character went viral. Now, in an interview, Cranston has confirmed that he’d be interested in playing that role. Speaking to UNILAD, he said: “Yeah he was, I hate to say genius, but he was the man who had tremendous insight into how to humanise superheroes, how to make them relatable and by giving them flaws, relatable human flaws, that made them accessible to audiences. Comic-book legend Stan Lee sadly passed away on Monday (November 12) at the age of 95. 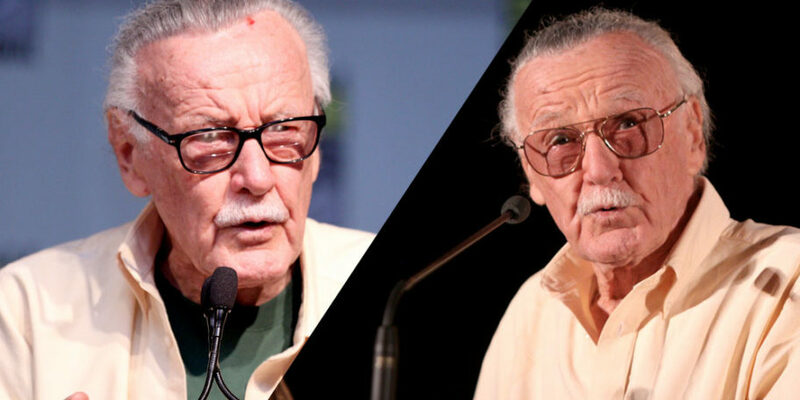 Tributes have flooded social media as millions of people mourn the passing of the creator of some of the most iconic superheroes ever. Netflix has now added their own tribute, and it’s incredible. All you have to do is log in to Netflix and search for Stan’s famous catchphrase “Excelsior!” in the Netflix search bar. Lee is known as one of the most iconic legends of the comic book world, with his contributions to Marvel knowing no bounds. His creations and work over the years have earned him celebrity status, with millions of fans across the world thanking him for creating the likes of Doctor Strange, Ant-Man and – of course – Spider-Man. Lee’s cameo appearances in all of the Marvel movies are beloved by his fans, who eagerly look for him in each instalment of their favourite Marvel flick. Joe Russo, co-director of Avengers: Infinity War and Avengers 4 confirmed that Lee had already filmed his cameo for the fourth Avengers movie, making it the last cameo he will make in the MCU. The internet has posted millions of tributes to the star, crediting him for changing their lives with his amazing creations, worlds and characters. Celebrities including Samuel L. Jackson, Chris Pratt and Paul McCartney have all paid their respects to Lee, with touching tributes coming from across the entire world.